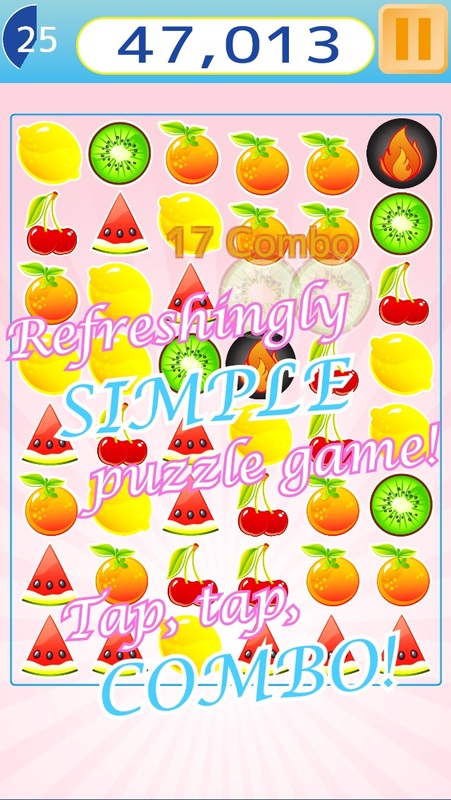 A cute puzzle game with funny fruit! Samegame Fruit is a simple and easy to play action puzzler version of samegame. The rules are simple: If more than one fruit of the same type is next to another, touch or tap one to make them disappear! The higher your combo gets the more points you get, and using bombs you can remove lots of pieces in one go! Playing on an iPad makes the game environment even more enjoyable! How many points can you get within 60 seconds? Challenge your friends through GameCenter leaderboards! Recommended for the following people: ・Anyone wanting to kill time on the way to work or school, in your free time waiting for the bus or train; take a little rest! ・Do you enjoy block puzzle games such as Tetris? 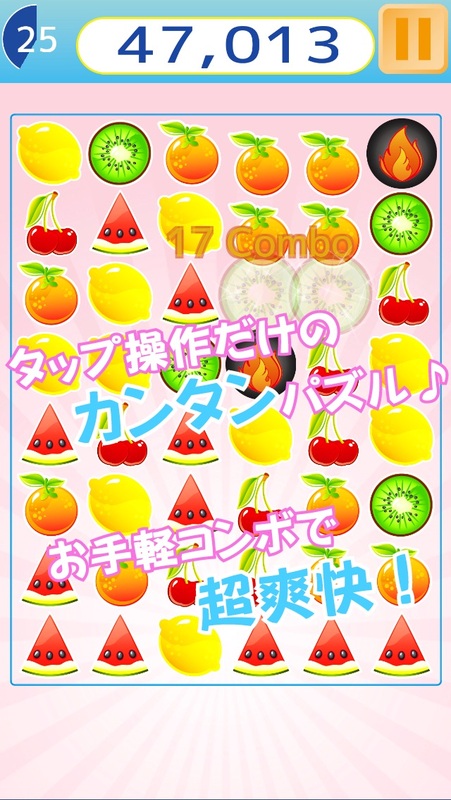 ・Been playing LINE Pokopang or Tsum Tsum, Puyo Puyo, Bejeweled, or other such puzzle-themed apps? Not forgetting games where you Crush Candy ・Do you enjoy board games such as spot the difference, sudoku, jigsaws, etc ・Anyone wanting to play a game that's both simple and fun! This light app is completely free to download and play! No need to register your email address!